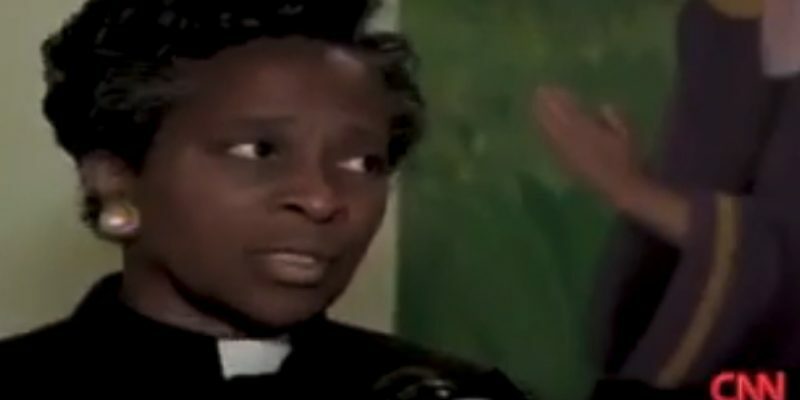 Video: Remember when Obama silenced a black female pastor? A controversial black priest, Rev. Brenda Lee, who is now deceased, was dragged away from a press conference by Secret Service after questioning former president Barack Obama. She was also thrown off of Air Force One. She didn’t protest like Jim Acosta. And CNN seems to have forgotten that it interviewed her. Rev Brenda Lee, was a Christian journalist for the Georgia Informer. In 2009, Obama was so scared of questions by her that he had his Secret Service humiliate & drag her away from Press Area EVEN though she had a Press Pass. Voters overwhelmingly supported Proposition 8, legalizing marriage between one man and one woman. Their vote was unconstitutionally overturned by one homosexual judge.